“A Star Is Born” — About how I got reminded of the power of music in a film. How a giant live music corporation helped re-start the contemporary music fiction film. How excellent music makes a good film an outstanding experience. Lady Gaga, Bradley Cooper, the fictional lead characters in the film and myself — we all seem to have something in common: For us, music is the one thing that truly saved our lives in the first place. Maybe that’s why I resonated with the film so deeply. 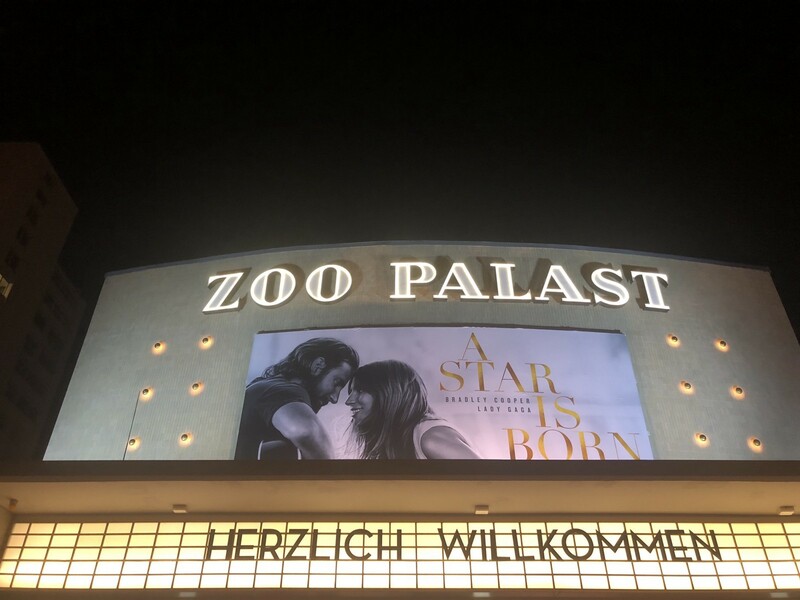 Although, I decided to write about this film because there is a bunch of remarkable aspects to “A Star Is Born” from an entertainment industry perspective. Often, music was my only motivation to learn anything useful as a schoolboy. Mainly because I desperately tried to understand the lyrics. So, it’s no surprise, it was music that pushed me through the hardships of adolescence and high school. Music helped me overcome heartbreak. Music got me my first gigs as an entrepreneur, making me focus like never before on jobs. Like being a concert promoter or PR workhorse for Rave Parties. All this at a time when I didn’t even know for real what the words “I’m having a project” could truly mean. I just did the job, happy about the free records I got in return on top of things. Later in life, I survived serious major surgery thanks to a single MP3 file. Bottom line: From the moment I became conscious of this world, music saved my life millions of times. But, even though, it took me decades until my one true musical “BING!” moment happened. That second, when I realised there is one thing that can be even better than great music. Namely great music in a great film. After a long time, “A Star Is Born” once again reminded me of that “BING!”. Because of the quality of the music in the film. Because of the story, the film is all about. Most of you might never ever have heard of a music album called “Decksandrumsandrockandroll” despite having enjoyed at least some of its music. I’m quite certain about this. Why can that be? “Decksandrumsandrockandroll” was the only ever 1998 album format release by two British lads named Will White and Alex Gifford under the artist name Propellerheads. Back then, the album quickly got landmark status within the dance music genre, finally establishing a hot thing called “Big Beats” on the landscape of the global (dance) music scene for good. It also contained a — at that time really massive — Dance Charts hit song called “History Repeating”, which became famous globally for its infectious hook and for featuring exclusive vocals of Shirley Bassey. I had the honour of interviewing the two Propellerheads in ’98 at the Chelsea Hotel in Cologne/Germany on the occasion of the German album release. It was one the best interview conversations I ever had among the several hundred I have conducted over the years. Great humans, talented musicians. Little did I know at this point about the impact to come on me and the world from their music. One year later. Baden-Baden, Germany. It had been a long day at Filmtheater-Congress, the annual tribal gathering for Germany’s domestic cinema industry. I was tired but got convinced by a back-then friend to join the late night promo screening of an at this point seemingly random action film, initiated by distributor Warner Brothers. Walking to the theatre down a murky through road, little did I know, this was a night I would encounter history in the making for the film industry. And for myself. The film of this night turned out to be “The Matrix” by the Wachowskis. While the impact of the film on the world in general and on the world of film should be obvious for most readers from today’s perspective (if not, you better inform yourself :-) ), let me go straight to my personal “BING!” resulting from this nocturnal experience. For me, “Spybreak” as the acoustic layer to this scene was the ultimate audiovisual experience. A piece of beats that does not only help to emotionalise the scene. It is an essential part of pushing the audience through it. It helps to engage but also to keep a distance at the same time. It brings the picture more alive, makes it better in a supportive way, while still being totally present as a true Wall Of Sound (a term coined for a style to arrange music by 60ies/70ies LA music producer Phil Spector and a name, which interestingly enough also was the name of the London based record label helping the Propellerheads to fame). In other words: The perfect fusion of moving pictures and cascading soundscapes. Something, I had never ever experienced this way before. A real “BING!” moment. It was positively overwhelming. Even for someone like me, at this time in my life already millions of songs, thousands of films and albums into the oeuvre of global music culture. It was groundbreaking. This was new to me (like it was to so many of us. That’s why, among other things, “The Matrix” became such a legendary and successful film). But, what was most important to me: Back on that day, in this short time, I realized about the power of music for films, about the power of music for film scenes beyond the concept of soundtracks or people singing “Musical Style” songs on cam. A lot has happened in the film and music industry over the last 20 years since that Matrix screening. When The Matrix came out, the film was presented in cinemas on analogue 35mm prints, the soundtrack was released as a CD, “Spybreak” came to my ears first as a 12" on Vinyl. But not only this. Also, many great films were made and released over these two decades. With many great songs written and compiled into soundtracks. We saw the rise of careers of Rock & Pop music artists in an expert role in the film world (e.g. T Bone Burnett). We did see legendary BioPics like “8 Mile” or “Walk The Line” being released. With “Almost Famous”, Cameron Crowe brought something like the ultimate film about the early days of Rock’n’Roll into the world. “The Big Lebowski” soundtrack made the Gypsy Kings version of evergreen “Hotel California” a global sleeper hit. “Metallica: Some Kind of Monster” opened up a never before seen cinematic insight into the creative demons of a global Rockband thru a documentary feature film format (German theatrical release handled by author and his back then team on behalf of Paramount Pictures). On the techy side of things, first, the MP3 and later on Spotify, YouTube or Apps like Shazam and Musically totally changed the way music is consumed. However. Still, great music enchants our brains. Great songs can move mountains. Even so, no film music, soundtrack or musical film touched me on a level like that “Matrix-BING!” I had when “Spy Break” rolled thru the Dolby Surround speaker installation that night while the resistance came after Smith. Until I did see “A Star Is Born” a couple of days ago. Finally: Another outstanding connection between picture and music. Albeit things are a bit different, even a bit better this time as well. Leaving biopics aside for the moment, there is this other aspect to music in film, to films about music, that got forgotten a bit over time. What happened music wise in “The Matrix” is what more or less became the main standard for pop culture film music for at least the last three decades (in fact, it had been that way even before): The handpicking of pre-existing songs for use within the film. What fell between the cracks over that was the aspect of true “original music for the film”. Meaning songs written or at least used specifically for release thru that one respective film only. Like what once had happened for “Grease” or “Saturday Night Fever”. Or think Tina Turner, who recorded an exclusive title song to accompany her lead in “Mad Max — Beyond Thunderdome”. Hence, Cooper and Gaga put themselves in good company and at the same time on the shoulders of true giants the moment they committed to doing a contemporary remake of this classic film story. And while facing that challenge, they got this entire “original music” task right like in a way not seen or heard in a very long time. Much has been written about this latest version of “A star is born”. About the good jobs, everyone involved did on cam in their roles as an actors, actress or director or singer. About the great songs recorded. And everyone is absolutely right about that. But mostly, people were referring to the film’s soundtrack as to the soundtrack of every other film these days. This does not truly pay justice to what is so special about the connection within this film between story, picture and music, what is so special about its’ “original music” aspect IMHO. Mostly for three reasons. One: In “A Star Is Born”, the songs by design essentially tell a lot of the film’s story. And with that, the whole thing goes far beyond the otherwise rather random collection of songs we usually summarise as an “Original Soundtrack”. Furthermore, here this happens to a bigger extent then seen in comparable concepts. Two: Bradley Cooper’s directing debut managed to gain one relevant advantage over so many other films: It got the good songs. And this happened because it got Lady Gaga. Three: The business forces behind Gaga where totally supportive of her giving the very best she got to give for this project. From picture to songs. While Gaga toyed around with acting for quite a while before, “A Star Is Born” has her in her first significant lead in a feature film. And being an outstanding talent she is on so many levels, she very well understood the importance of the songs for the film and for the outcome of her engagement. That’s why she did not only bring her name and acting skills to the table but as well her talents as a composer and her undoubtedly existing intuition for really great hit songs. Things move this way because tradition in the music business wants the really good stuff to be used to support one’s music career first. Meaning, potential hits are usually released as stand-alone tracks first. Most often, films were — and still are — used as a platform to offload some rather second-class material. A situation the production “A Star Is Born” managed to avoid. Probably, for the most part, thanks to Gaga’s Management company LiveNation/Ticketmaster serving as co-producer of the film. Turns out it can be a really good thing for everyone involved if the Live Event promoter of one’s world tours sees your acting career as a cross-promoting, fruitful part of the artist’s story instead of seeing a rivalry between “Live on stage” and “On stage within a film”. In a nutshell, for “A Star Is Born” every single aspect that helps to make a musical film a truly great musical film, creatively and business-wise, fell into place perfectly. And not only that. Once rolling, everyone involved seemingly managed to keep one’s egos in check. Turns out that Bradley Cooper, songwriter, director and male lead in personal union, not only has a hand for film and music but has a great voice himself. And then, there is Lady Gaga. She’s not only a highly gifted singer, but she is also a great songwriter as well. Moreover, she is a clever business person. And — beyond all that — a person who really digs what music is all about. Across all genres. Which made her flexible enough (not that usual for a superstar of her extent) to involve Lukas Nelson and Promise of the Real to help get the music right for a story arranged around the fading of a maverick rock star in the US-Country-Rock-Scene. Nelson & POTR came to fame over the last couple of years establishing themselves as Neil Young’s new go-to address when in need of a touring band*. And then there was Arthur Fogel and his team at Live Nation, thinking 360° enough to let all this unfold right before their eyes and co-produce it. With this, another interesting, music-related aspect of the film stands out. “A Star Is Born” marks the so far biggest success of Live Nation’s just recently founded Live Nation Productions, headed by Heather Parry. And the companies first success within the realm of fiction film. A crossover breakthrough, predicted under buzzwords like “transmedia” or “cross-media” since a long time already. Prepared by so-called 360° contracts, performing artist management and promoter companies started to sell to artists as the music business changed massively due to the decline of sales for recorded music. “Live Nation Entertainment Inc. has sent Hollywood a message,” the Wall Street Journal writes (paywall link), “the world’s largest concert promoter and ticketing company is also in the movie business.” ‘Nuff said about this for now. My prediction: More interesting things to come from this. By the way. Talking production. Hard to believe, but at a point in history, things for this film project seemed to be supposed to turn out totally different. At one point, producer Bill Gerber had Clint Eastwood booked for director and Beyoncé for becoming the female lead. Another interesting package, a totally different package. (Read and hear more about Gerbers story in this Hollywood Reporter Story here). Great thing Gerber stayed on to make the film happen and giving a chance to a musically probably even more impressive trio. As Cooper, Nelson and Gaga together co-wrote a couple of really great songs for the film. Pushing Nelson into becoming a new music shooting star. A well-deserved honour, being born out of his work for the film. Nelsons work as co-writer and co-producer for this project should propel him to a new orbit of possible collaborations that can go far beyond the fanbase of Neil Youngs global fellowship. The result of such much talent at work is a great, straightforward, musically love story full of deep emotions. It suggests for everyone involved to bring more of their talent to screens small of big globally. Awards buzz is high already should help such ambitions, giving us more of Gaga’s on-screen presence to enjoy pretty soon. For me, the ultimate superstar of the film is its’ music. Be it songs like “Shallow” (see YouTube Link above), “Black Eyes”, “Always Remember Us This Way” or “I’ll Never Love Again”. The high quality of the material is always perfectly reflected by the quality of the performances, forming the perfect symbiosis that carries the audience far beyond the point film usually can reach. I had many “Spybreak BING!’s” while seeing the film, reminding me of the power of music in film with an intensity not experienced in a long time. Beyond “Spybreak”. Pure “Decksandrumsandrockandroll”. But with much more soul. Another night, another song, another moment of my life saved. Thank you for the music. * Lukas Nelson is the son of Willie Nelson. Crazy Horse is still around. But apparently, the band cannot keep up with Neils desire anymore to hit the road at least once a year or even more often — because of age. Also, it’s truly impressive to see her performing solo on the Piano. Now it’s totally clear she needs to have two Vegas Shows the next months. VARIETY puts Lady Gaga on the cover of its issue “342–2-november-13–2018”. “Lady Gaga Will Never Be the Same After ‘A Star Is Born’” is the headline of the story inside. Worth a look.